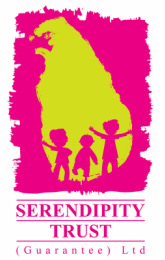 On 10th April 2015 the Serendipity Trust once again held our annual Sinhala Tamil New Year Children's Party. Children from the local community came together to enjoy a morning of traditional ceremonies, a costume parade and many fun cultural games. Everyone received tasty refreshments including a ice cream!